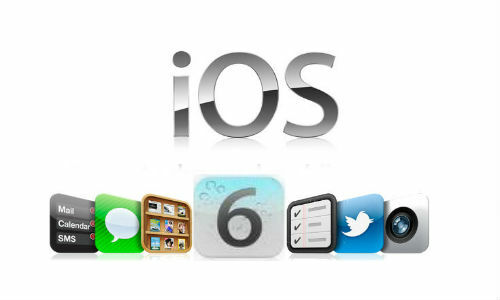 It is now expected that the Apple iPhone 5 will be featured with iOS 6. While it may be true to some extent, even if the phone will be there with iOS 5, it will serve to be a great gadget. People want the iPhone 5 to be there with iOS 6 so that they can enjoy better experience with their latest iPhone. Not only is the hardware and design of the iPhone 5 is much anticipated, but its software as well. While the iOS 5 will also prove to be a great option, but it is noted that users are highly looking forward to have the device with iOS 6. In case everything goes as it is expected and demanded, we may see the latest iPhone 5 with iOS 6 release as well. With the iOS 6, it would be great to watch the handset contacts app add the pictures to scrolling screen and latest grid layout at top to have the most recent contacts. So, to fill in the images, Apple may tie into Facebook and Twitter in order to pull down the pictures which match your contacts in the address or phone book. As widgets serve to play a very important part on the Android handsets, providing fast and easy access to details, controls and settings, however on iPhone, there are just two widgets on notification center. So, in case Apple includes the widgets in upcoming iOS 6 release, there will be some restrictions to the number of widgets that the user can have or place in notification center. The earlier models of the iPhone had smaller screen displays and thus they make the gestures tough. However if Apple now releases the 4 inches iPhone5, we will just need to use the 3 finger swipe up gesture in order to access multitasking bar as well as other features and options. Apple just allows the users to put around 12 applications in the folder on its iPhone that simply means that you require various applications for entertainment and games. It is expected that the iOS 6 will remove this problem and thus allow the users to scroll within apps folder to find the applications they want. So will it be iOS 6 in the iPhone 5? Apple can also use geo fencing in the Reminders App in order to switch the alerts and ringers automatically as per the location the user is in. In all, expectation on the iPhone 5 iOS 6 is too much as the iPhone 5 will serve as the new gen gadget. Not just its processor, but people are even expecting to have latest display, design, features and a lot more.